Authored by broulik on Feb 12 2018, 2:12 PM. "Mountain of Wealth" token, awarded by ngraham. "Yellow Medal" token, awarded by anemeth. This application finds windows using GTK GMenu DBus interfaces  and forwards them through DBusMenu. This way no adjustments in Plasma are needed. 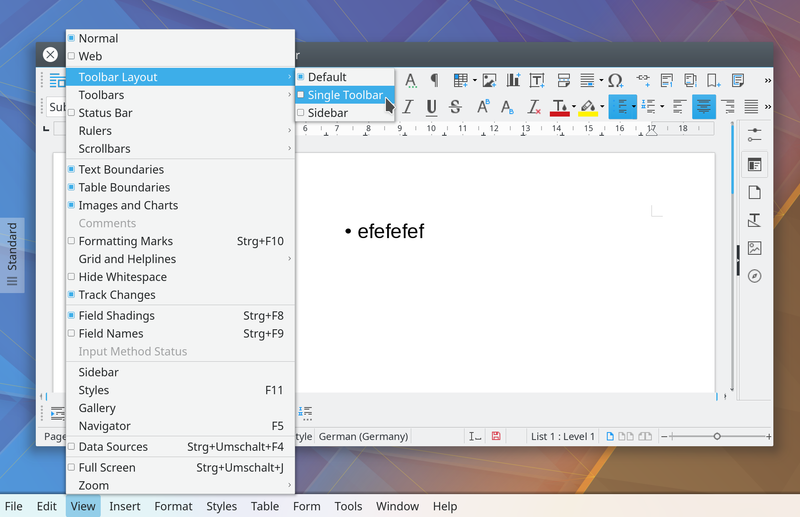 Tested LibreOffice 6 with gtk3_kde5 platform plugin, should just work with regular GTK3 plugin; also works with gtk and gtk3 plugins when you have appmenu-gtk-module. Out of the box with gtk3 action IDs are randomly assigned so I cannot map them to any icons, however, with appmenu-gtk-module I can. broulik retitled this revision from WIP: GMenu-DBusMenu-Proxy to GMenu-DBusMenu-Proxy. Hello, I am Konstantin, developer of vala-panel-appmenu. I have some comments about your application. It is a menu models, it is how menu should drawn on screen. b) If MenuBar is missing, you will miss all menu entries except entry with application name. Unity (_UNITY_OBJECT_PATH, prefix unity) - it is non-standard, but widely used action path for set a Unity actions (when window actions is not supported by app developer). It is object path supported by unity-gtk-module and appmenu-gtk-module. 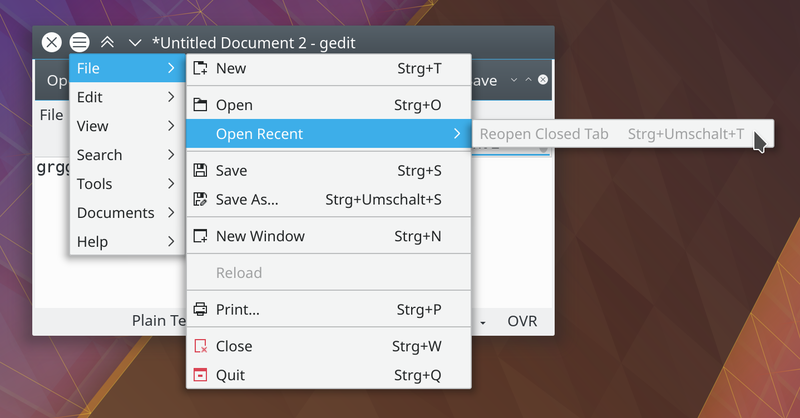 If you implement this, you will get GTK2 menu for free. If any of this are missing, this menu items should be rendered as disabled. But if menu using actions only from one category - it can be used as a normal menu. Setting this all is not required for functional menu. One will be enough, if menu is using actions only from one group. thank you very much for your input! In Plasma we don't typically use this separate "app menu" (although I'd like to do that but as a separate menu), so what I do is I show the menu bar and if that is not there I'll try the app menu. I never show both of them at once to be consistent with KDE apps that only have a menu. I don't understand. Incorrect on my side? When both menus are missing where should I get the menu from? You mean that I don't neccessarily need both application and window actions in case the menu just uses application actions? I'll fix that. Unity is dead, but I forked unity-gtk-module, patched it for all distros, fixed some bugs and called appmenu-gtk-module. So, Unity is dead, but unity action prefixes is live. To use unity-gtk-module or appmenu-gtk-module you need to install it into correct location (where all gtk modules is located) and then add its name (unity-gtk-module or appmenu-gtk-module) to environment variable called GTK_MODULES. If it will not working with appmenu-gtk-module, write me. unity-gtk-module maintainers is not so responsive. Menu can use only application actions, only window actions and only unity actions. And all this are correct, as well as any combination of it (but not empty combination). So, Unity is dead, but unity action prefixes is live. To use unity-gtk-module or appmenu-gtk-module you need to install it into correct location (where all gtk modules is located) and then add its name (unity-gtk-module or appmenu-gtk-module) to environment variable called GTK_MODULES. I just did that and now get a full menu in e.g. Pluma. However, most other apps, like Evince, don't get a menu at all anymore. It seems the the appmenu-gtk-module always announces a menu bar which may be empty? :/ My proxy does not fallback to empty menus, it only falls back when the menu property doesn't exist to begin with and I wouldn't really want to make it even more complex as it is. Yes, menubar may be empty with appmenu-gtk-module or unity-gtk-module, and if I can fix appmenu-gtk-module, unity-gtk-module will not be fixed. So, I think it is preferred to check on your side. GTK3 applications (file-roller, for example) can use both appmenu and menubar with different items (and different action) . So, I think, hiding appmenu is bad, because user may want this menu entries. O, some another note: You can generate menubar from appmenu. Keyboard Shortcuts Help About Quit. You can add New Window and Quit to File menu, Sidebar to View, Preferences and Keyboard shortcuts to Tools (or Edit), and Help and About to help. What about FIXME unity, what are you mean? I can fix appmenu-gtk-module for you. Okay. Problem is that for example LibreOffice doesn't have a menu right away, so I can't realy tell "no menu because it's still loading" or "no menu because it doesn't have one" and then fallback to app menu. I could perhaps check if the app has an appmenu at all before trying to fallback but not really fond of adding even more complexity to it. What kind of different actions? So far I have only had redundancy in the app menu, I'll try to look into this, merging two separate menus into one somehow, also getting the app name for the app menu..
How am I supposed to know which action belongs where? What about FIXME unity, what are you mean? I too because MenuModel can be empty on start, and I cannot differ than user turned menu off or just application do not have a menu? About searching of appmenu and fallback to it - LibreOffice have both appmenu and menubar, so, we will lose LibreOffice menu. It can be actions (GActions, I mean) than exists only in appmenu, but not in menubar. User may want this. Look for each section, name it by some action-name regex (as you did with icons) and then show it as menubar. Or just do it with each menuitem, but it is way more complicated. I suggest a section-way. If any icon can be found, appmenu-gtk-module will export this. And I will temporary disable exporting an empty menubar to MenuModel in appmenu-gtk-module. 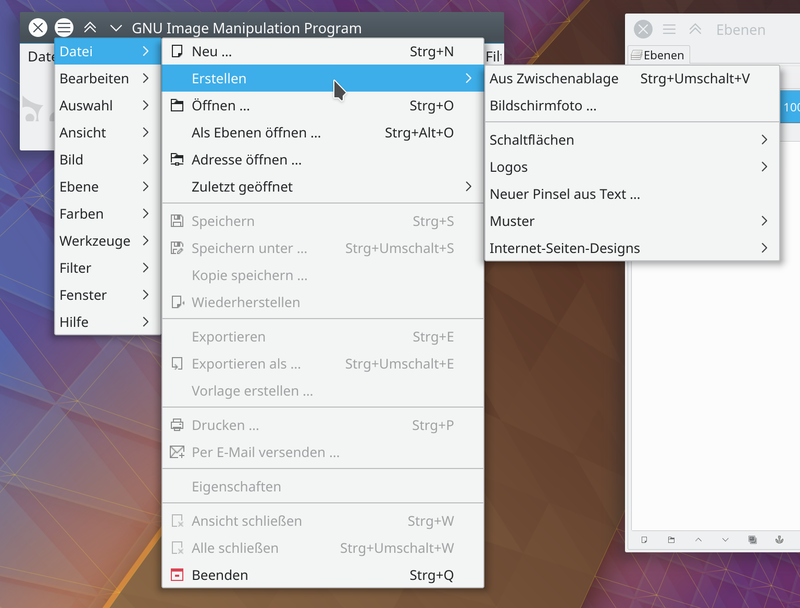 I do not know how to do it in GTK Wayland. 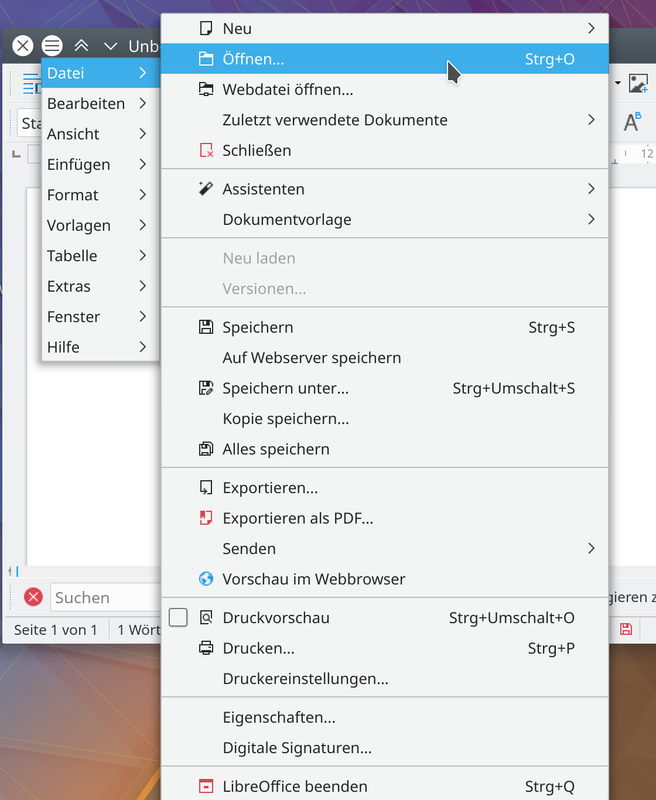 Can you explain me KDE Wayland Global Menu architecture? always 2? maybe needs a more in depth comment? It's a massive patchset, I'm not sure I've got my head round all of it yet, I might take a second round when these minor things are addressed. does this list come from anywhere? are these always set before the window is created? I think it's safe, you'd have definitely added it before we process someone introspecting the path. But why write it one way round and add a question when we can just move it.